Whether you’re replacing your roof with metal roofing or simply installing a gutter protection system, you need to prepare ahead of time to ensure a successful outcome. That includes making sure you and your contractor are on the same page from day one. 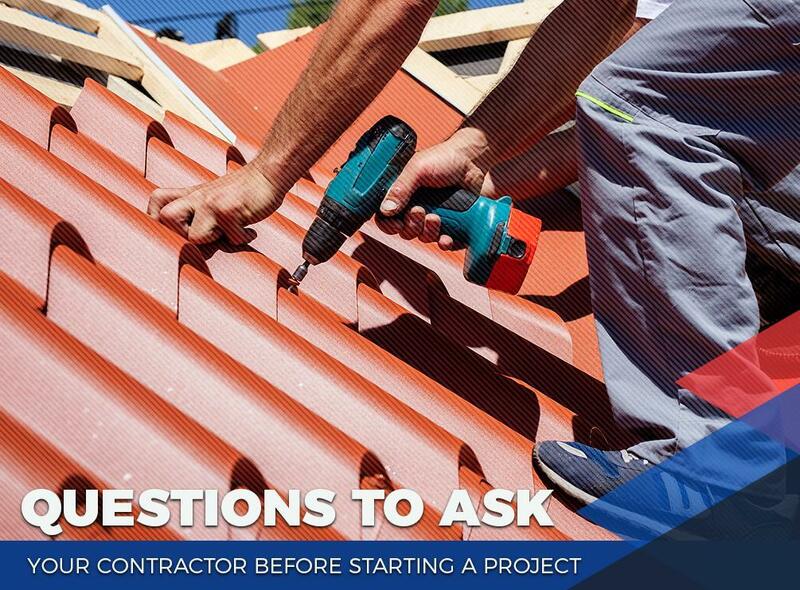 In today’s post, Complete Exteriors shares some of the important questions to ask your contractor before work begins. As with any partnership, having a clear line of communication with your contractor is important. This helps keep you on the same page. Agree on a method of communication that works for you both, whether emails, phone calls or weekly in-person meetings. What Part of My Project Concerns You? Whether you’re installing a new roof or replacing your gutters, it’s possible that your contractor might detect an unexpected problem that could trigger an order change. This can add to your material and labor costs. To keep your expenses from spinning out of control, ask your contractor about possible areas of concern. We recommend setting aside a contingency fund of 20 percent of your total budget to make sure you’re prepared for the unexpected. A schedule is more than just a start and end date. It should be detailed, including different benchmarks along the way so you can make sure everything is progressing according to the agreed-upon timeline. Ask about the details of each task and set a specific time for meetings. You should also be aware of the deadlines so that you will know if things are slipping. It’s important that your contractor has a clear idea of your goals to ensure excellent results. You can enjoy a smooth and worry-free home improvement project when you turn to Complete Exteriors. No matter how small or big your project is, we believe it deserves our full attention. We’ll be with you every step of the way and we will ensure your complete peace of mind. Whether you’re investing in asphalt shingle roofing or fiber cement siding, we’ve got you covered. Call us today at (601) 202-4366 for more information about our products and services. You may also fill out our contact form to get a free quote. We serve Jackson, MS, and surrounding areas.